Renowned as the father of Ethio-Jazz, pianist and vibist, Mulata Astatke, is a household name in his native country and now has an ever-growing cult following driven by his exhilarating live performances. 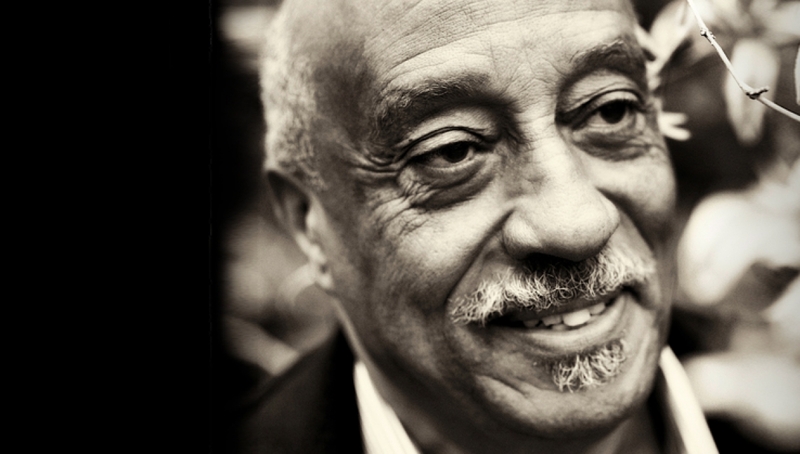 Born in 1943 in the west Ethiopia city of Jimma, Mulatu studied music in London, New York City, and Boston, where he was the first African graduate of the Berklee College of Music, and went on to work with several acclaimed jazz artists, including a guest spot with Duke Ellington in 1971. Further schooled in New York’s dance clubs in the 1960s, Mulatu returned to Ethiopia, releasing the hugely influential albums Afro-Latin Soul, Vol. 1 and Vol. 2 in 1966 and Mulatu of Ethiopia in 1972. His music draws on the jazz he heard in the US and UK and of course traditional Ethiopian influences, such as his use of the (almost) Arabic-sounding five-tone scale and echoes of Coptic church music, and his fascination with such ancient instruments as the six-stringed krar, the washint flute or begena harp. Rediscovered in the west when he contributed to the soundtrack for Jim Jarmusch’s 2005 film ‘Broken Flowers’ he found a renewed international following the success of the now legendary Ethiopiques compilations and his 2008 collaboration with the London based cosmic-funk-jazz outfit Heliocentrics.